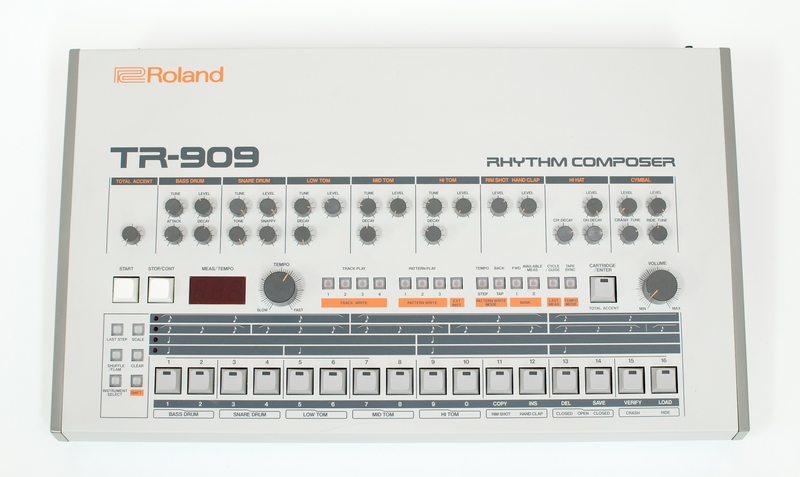 TR-909, Drum Machine from Roland in the TR series. redox75's review"The TR 909 IS THE TRUE BOSS!!!" 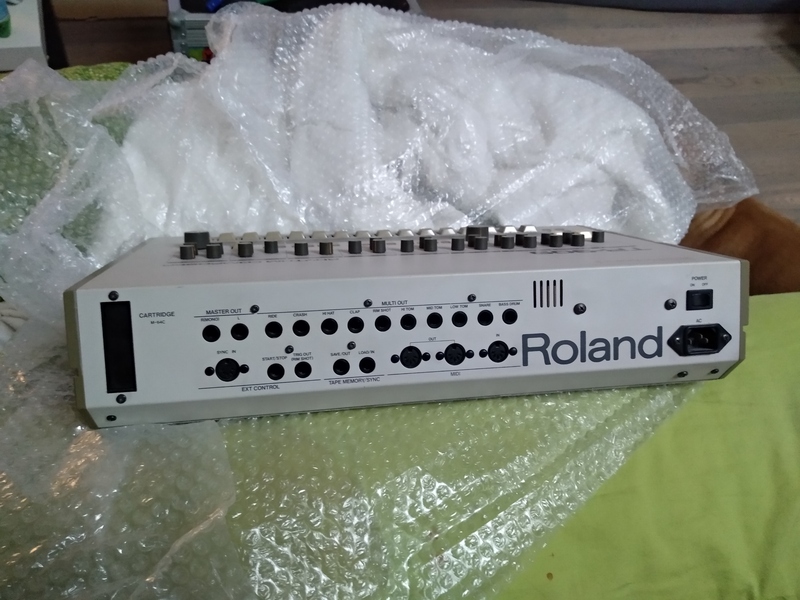 Easy to program, midi, roland old-school sync, and the typical roland sequencer that earned the TR its reputation. I now think the sequencer of the 808 is more "lively." It has a magical groove which isn't as present on the 909, except when play with the shuffle, which makes it more interesting. 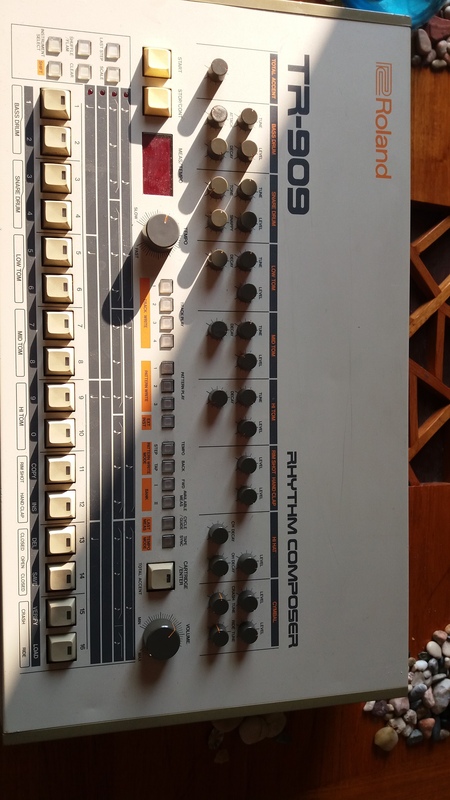 I have noticed, for example, that putting the TR 808 in sync out mode to start the 909 in sync in mode, the latter adopts the magical groove of the 808. I think it's due to the sync clock of the 808 being less stable, so the precision of the intervals, which ought to be a defect, turns out to be a good quality. But if you do it the other way around it doesn't work! There's no need for a manual, except for step-by-step editing. The external card slot is a great plus to save your songs/patterns, just like the MIDI, for those who use it. I can't say that all sounds are great. The snares are all right, but the ones on the 808 are better, and the same goes for the ride/crash. But it's THE KICK that can really make a difference in an electronic music production, even though the one of the 808 and 606 are pretty good, too. Some sounds of the 707 are similar to those of the 909, like the clap and hi--hat. I have always loved the 909, but I have a weakness for the 808, which has that "special something" that can't be defined and a more vintage sound. 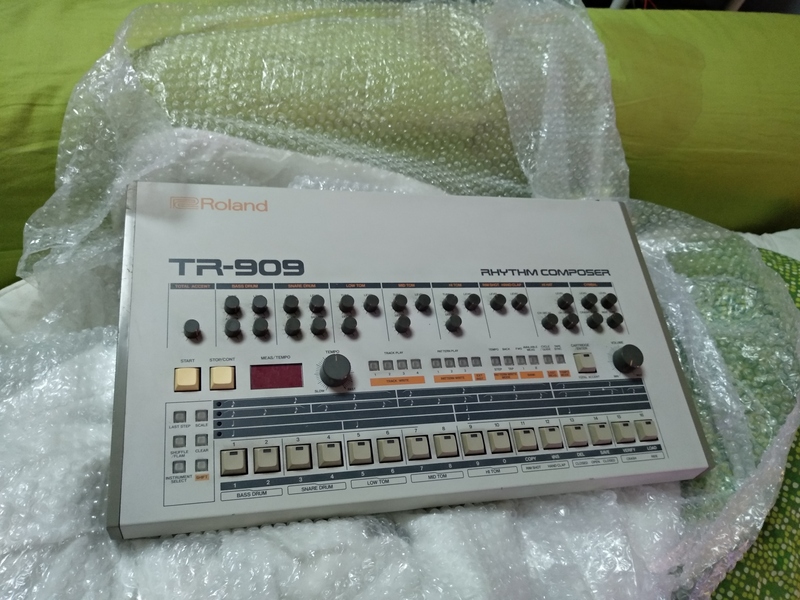 I just got it, after having exchanged it for one of the two TB 303s I had. It was in a great condition (I checked the buttons, knobs, etc.). I wanted one ever since I started my TR collection in 1995. It currently sells for about 1200/2200 euros and it's very rare to come by. Like other vintage gear, it's an "investment.". Anyone who has one in a good condition in 15/20 years will make a fortune with it because it will be a 50-year old legend. That's why it's worth buying spare parts right now, so you can service and repair it. The current price is due to supply and demand, anything that's rare is expensive. 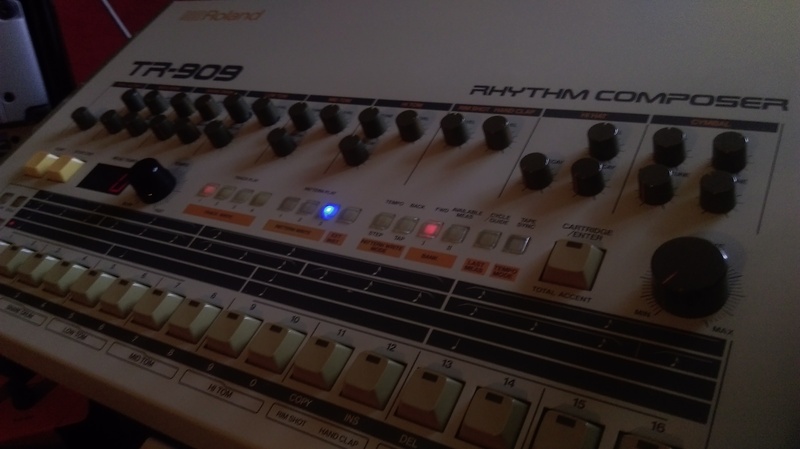 And even if the TR 8 isn't bad at all, and even just as good for some sounds, it doesn't bear comparison with the 909. The latter has an incredible punch and everybody wants one. The same applies to other analog drum machines and synths (just take a look at the Jupiter 8, whose price has sky-rocketed to over 6000 euros, the same it cost new back in 1981!). The features have been mentioned over and over again, so I see no need to go through them again. Pros: Super groovy sequencer, separate outs. It couldn't be easier to use, except for some functions that require you to press five buttons at the same time. Other than that, it's a real treat to write music, edit sounds and play live!! The sounds are nothing new, but wow!!!! Realistic is not the right term, but they are perfect for electronic music. (a real kick, a real snare, real cymbals, nothing plasticky!!). This drum machine had incredible dynamics and a very airy sound, which gives it an irreplaceable presence within a mix. I tried to find a replacement for quite a long time, but it was a waste of time, it's simple incomparable (even with alleged replicas). I just got it and spent the entire weekend with it. What I like best about it are its sound and editing. What I like least are the advanced functions, which aren't easy to find (like copying a pattern). I tried lots of models before realizing it is impossible to replace it!!! Its a good value for money, considering what it does. I wouldn't hesitate to buy it again. If I had the money, I would actually buy a second one. A unique drum machine, despite the number of copies available and which aren't anything like it!! Its price is pretty high, granted, but it's because it's really worth it!! It's for all fans of big e-drums. 16 patterns x 3 banks, 4 tracks of maximum 896 bars x 3 banks. Techno music wouldn't exist without the 909!!! Super easy to use, live editing, very clear manual. Some functions are a pain to find without the manual. The sounds are extremely powerful. They simply can't be compared to the multiple copies available, the bass drum makes your spine tingle!! Snares and hi-hats are terrific, the clap is unique, toms are really good... WOW!!!!! It's amazing for techno fans. I have tried the so-called new TR909! What a bunch of impostors!!! 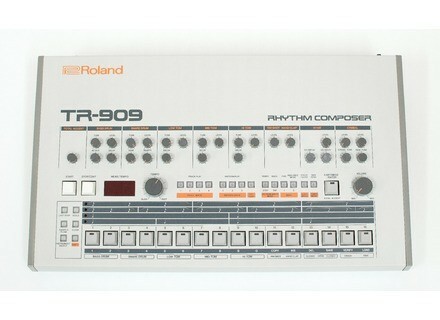 I have tried a lot of drum machines, but the TR 909 is unbeatable and remains the drum machine par excellence!!! Although the 808 is also very good!!! And I can also recommend the tr 707+727!! my TR909 clone, the MB909, is working!! !